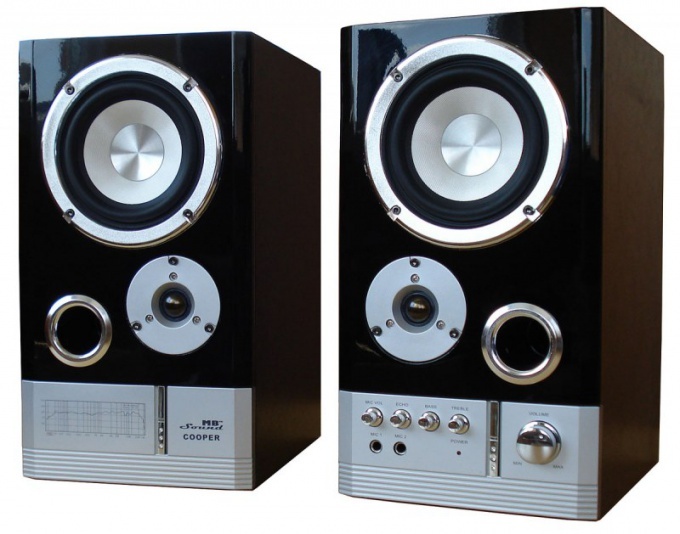 The inclusion of speakers is quite a difficult process if you do it for the first time. It includes not only the mode switching on-off the front panel of the speaker system, and connect it with the adapter and install the driver for the sound device. Make sure that your computer has a sound card. Look for her connectors to connect speakers, a microphone, headphones, and so on. Usually, if you have a desktop personal computer, the outputs of the sound card located on the back wall. In some cases, there is the option to connect the speaker system to the front panel, if it suits you. Locate the connector which is marked with the icon with the headphones or with the appropriate label. Connect the main speakers to this connector, make sure that speakers are on and volume level is not set to the minimum level. Check the network connection. Install sound card driver, if you haven't done before. Insert a special software CD in the drive, run setup, if you have the skills confident PC user, configure the adapter manually pointing the driver installation, the parameters at its discretion. Restart the computer when installation is completed. Try to include one of the media files on your computer, for example, the entry in format MP3. If done correctly, a sound will appear from your speakers. Adjust the volume output from the sound card with a special icon in the lower right corner of the screen. If you connect speakers 5.1, connect each speaker to the main unit with a special acoustic wires. Insert special wire to connect to the computer. Connect the speaker system to the sound card your personal computer observing the color scheme. Please note that you must have installed special sound card that supports the connection of these speakers. Use the updated drivers for your sound card.